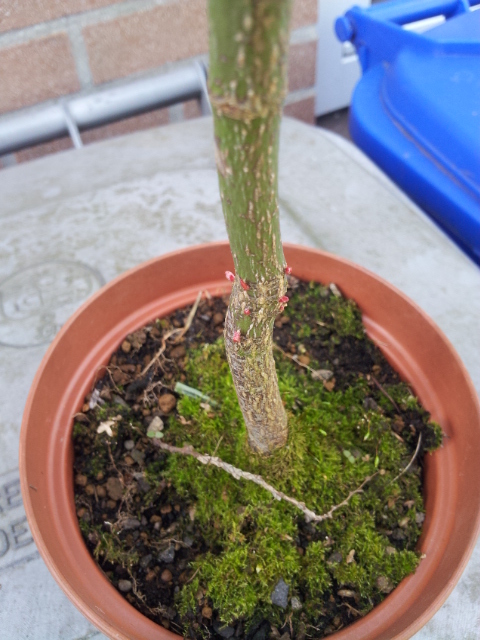 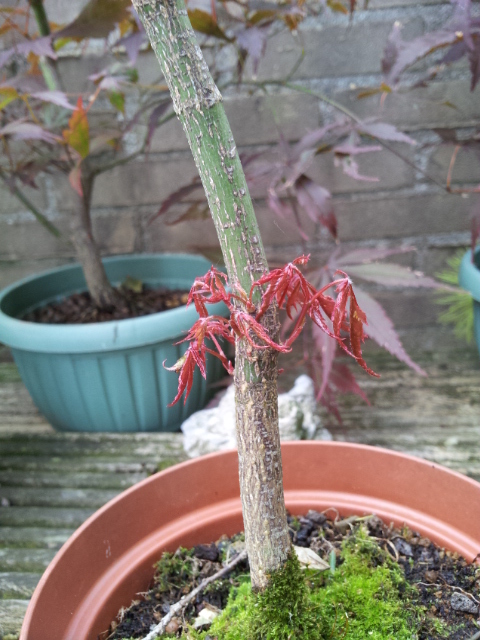 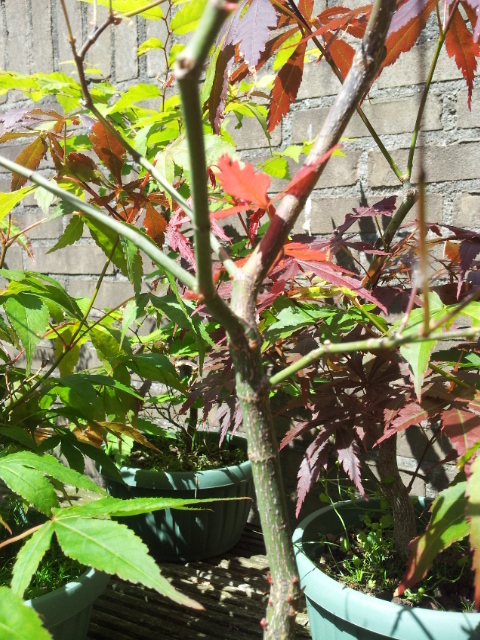 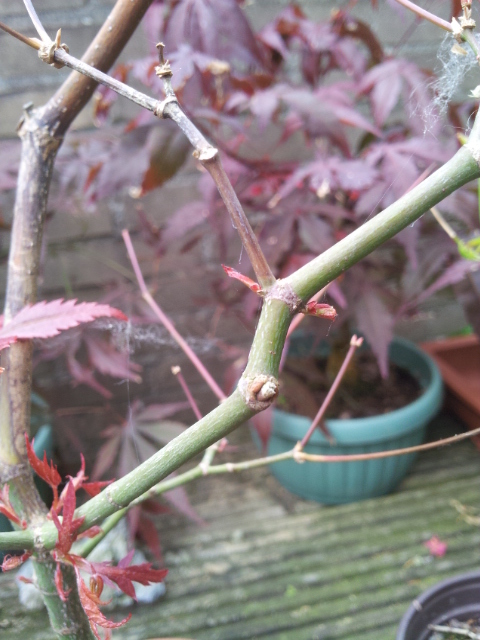 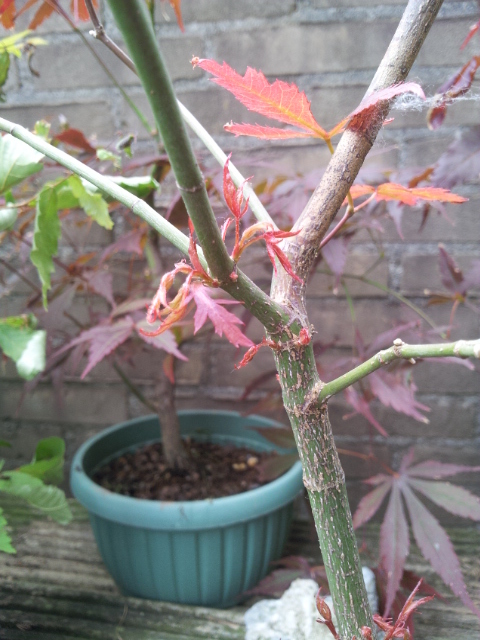 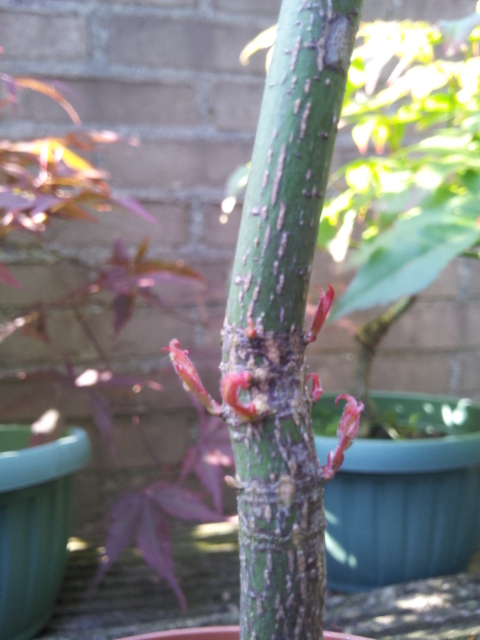 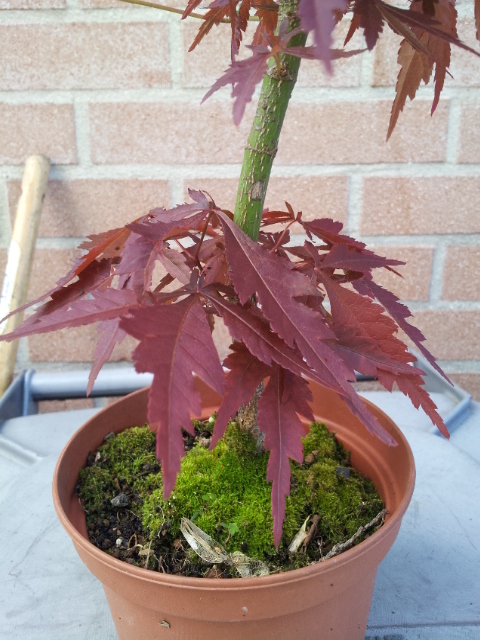 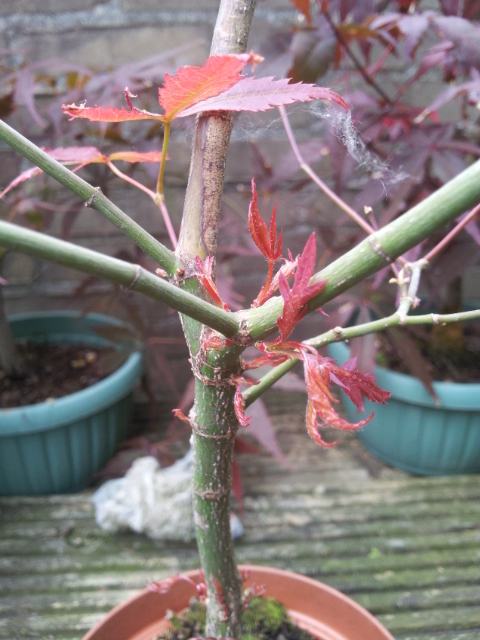 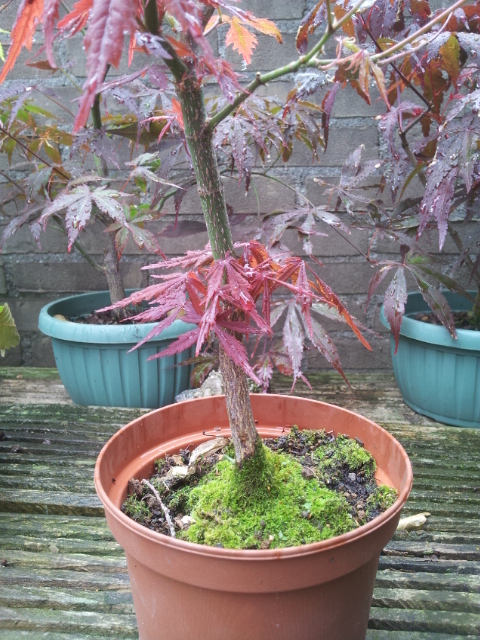 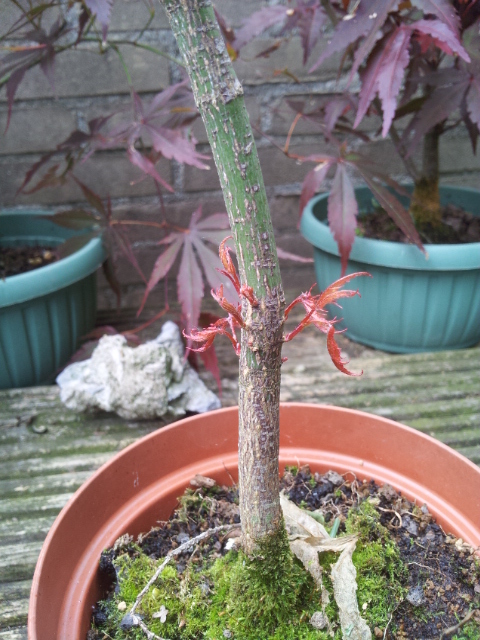 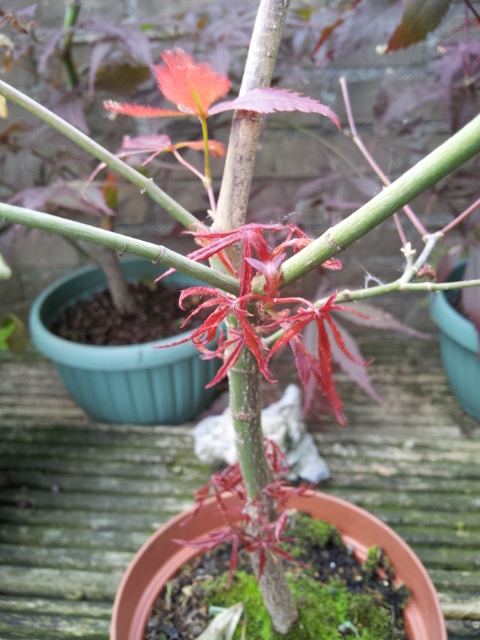 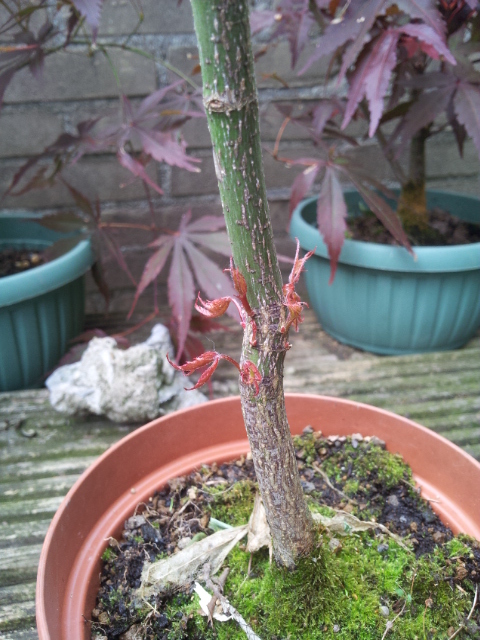 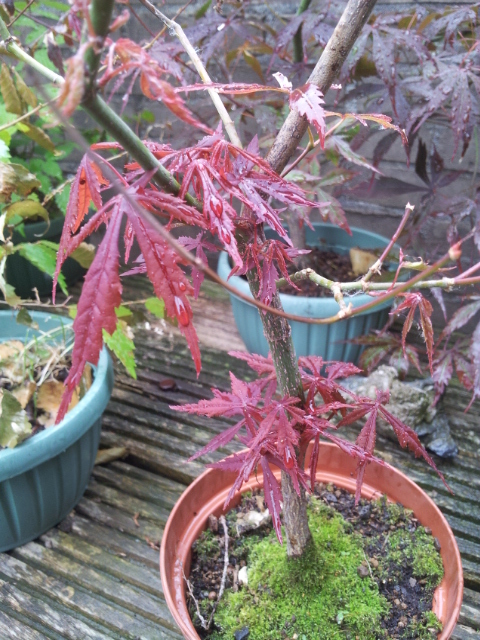 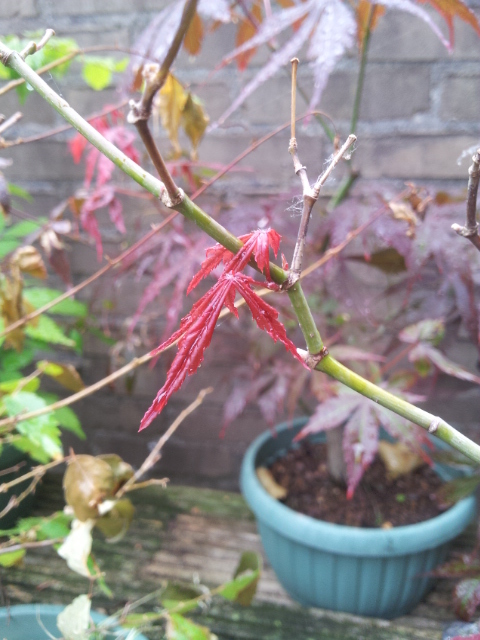 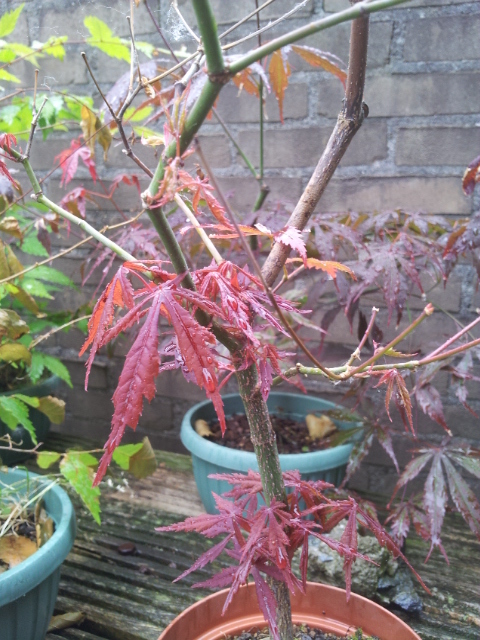 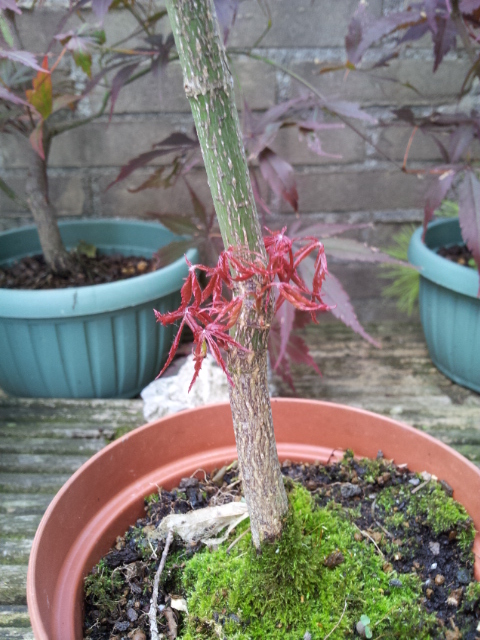 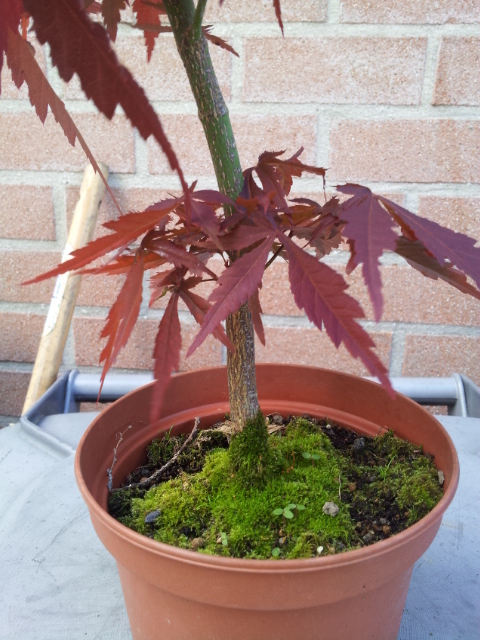 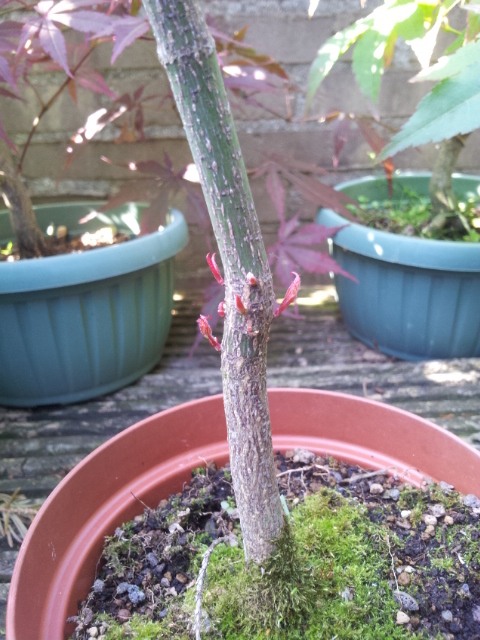 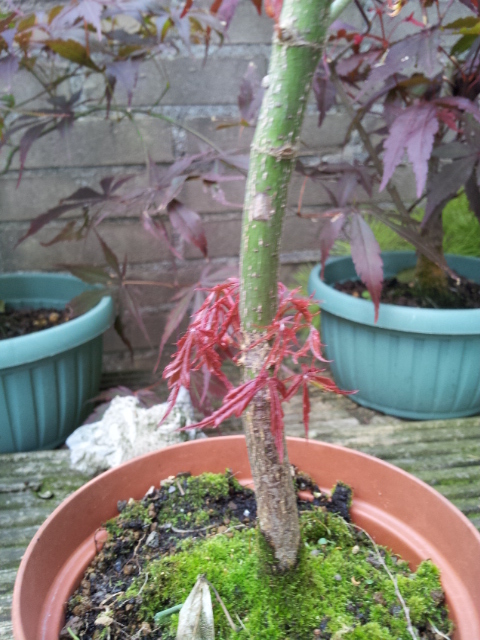 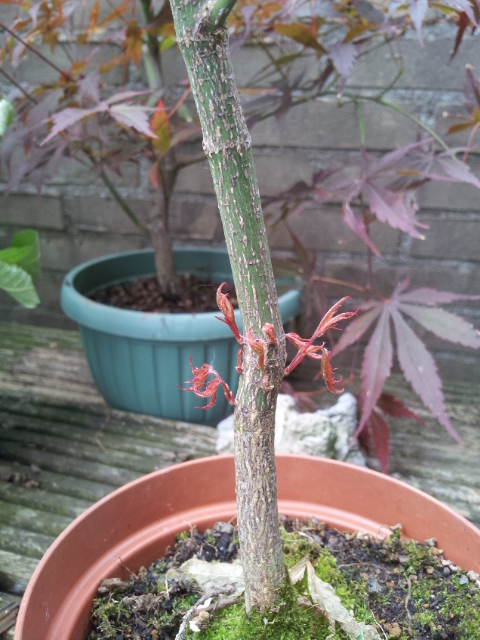 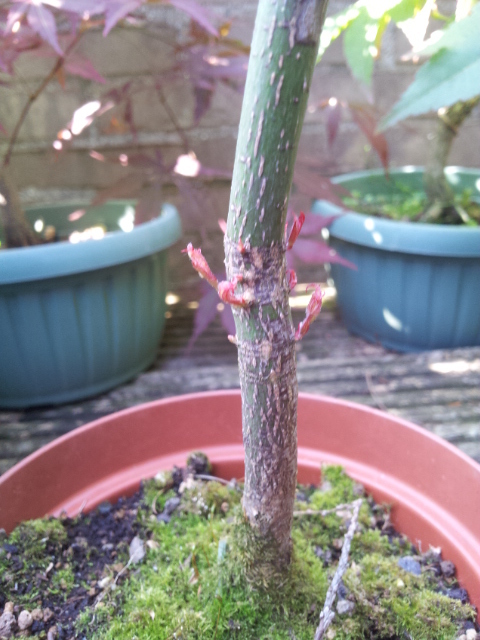 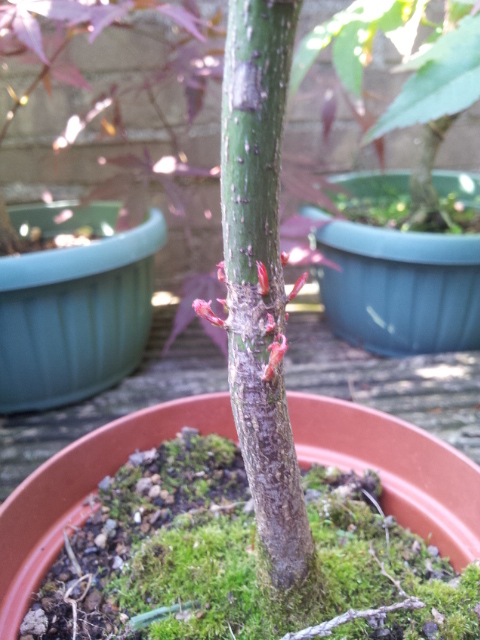 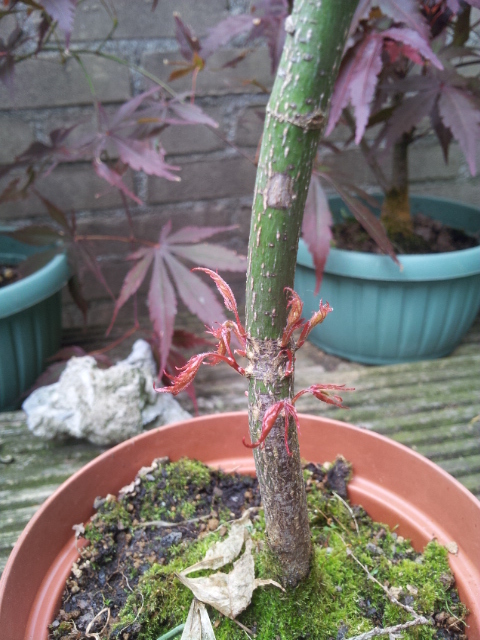 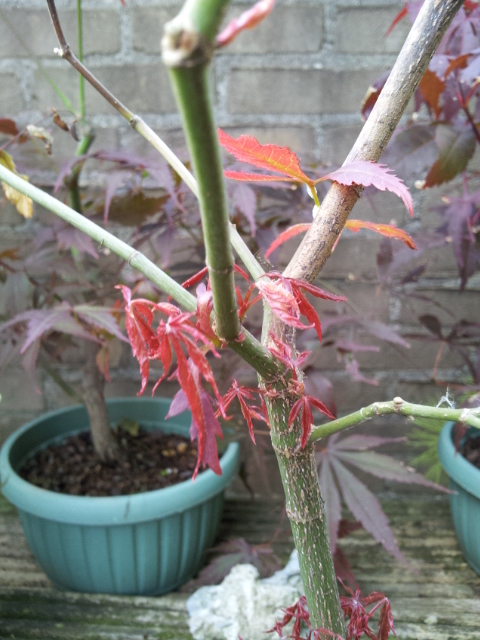 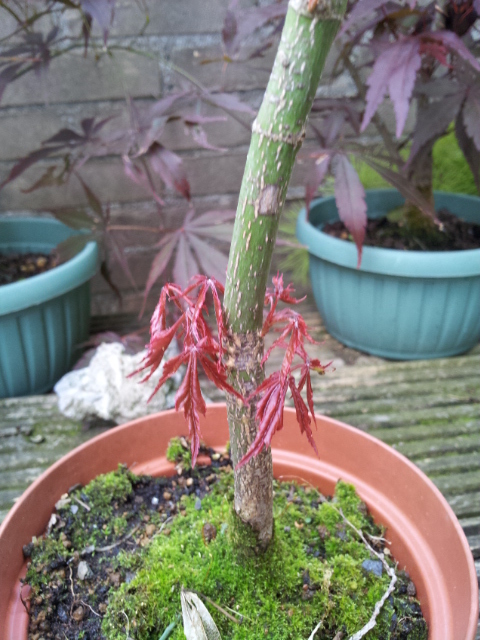 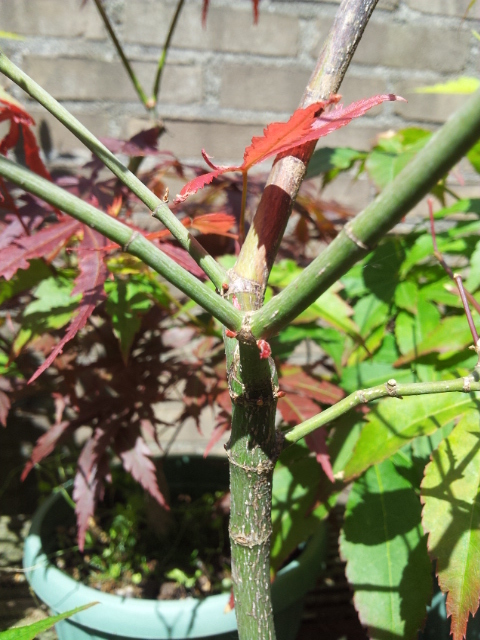 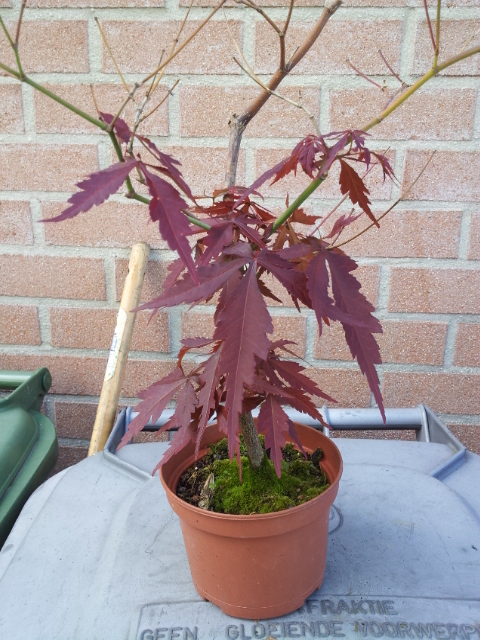 This poor bonsai (Acer palmatum) was almost dried out and meet its Maker because lack of water. 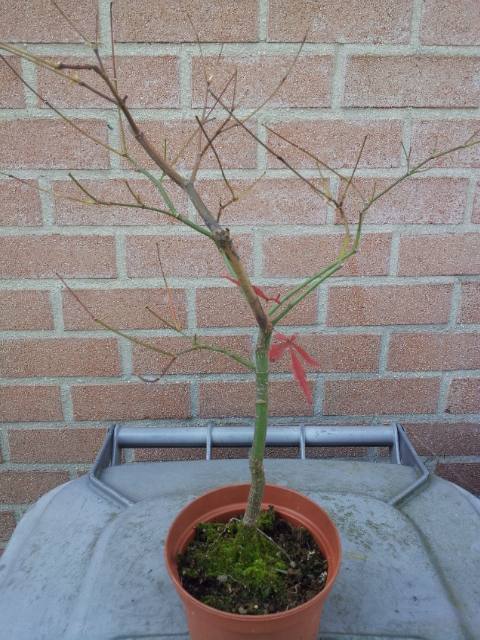 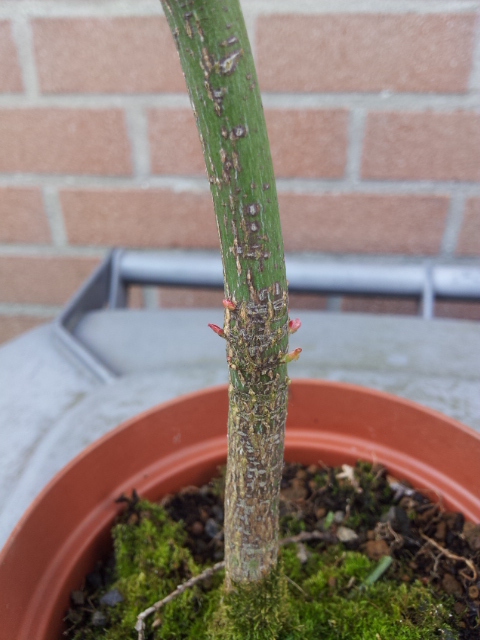 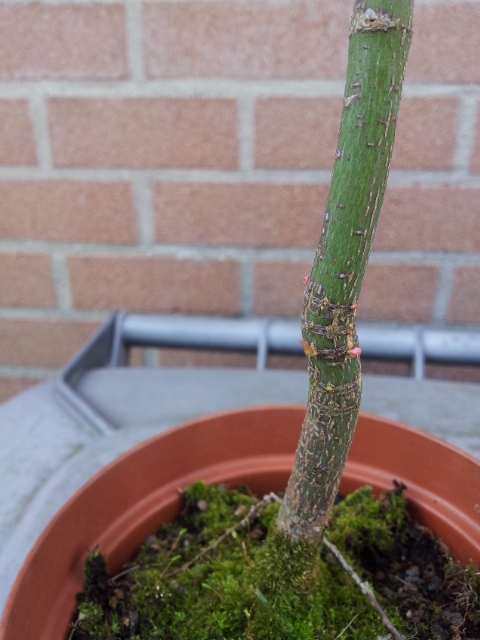 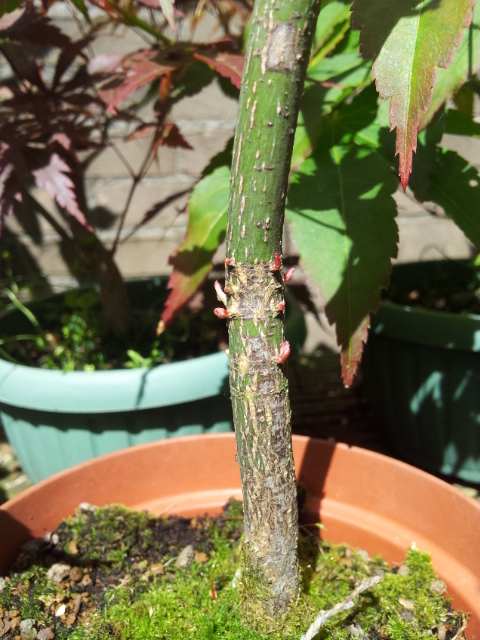 The bonsai was treated in the spring with Tibolar-RS. 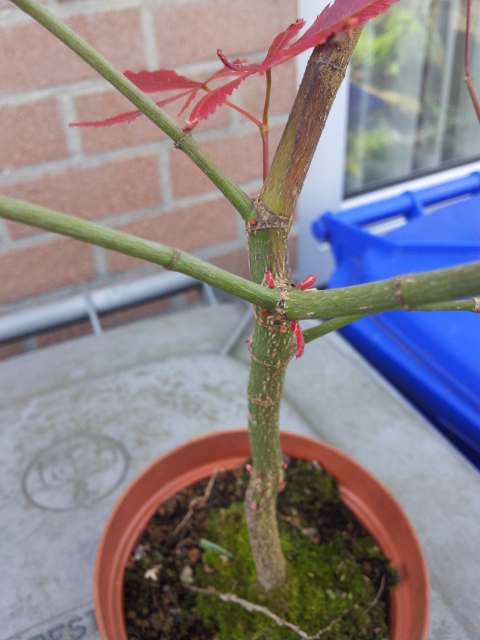 Sleeping buds got activated and this are the results in less than one month.